Life at Stamping Details: 7th Annual So Cal Shop Hop! We are so excited about participating in the 7th annual So Cal Shop Hop! Here are this years Details and WE NEED YOUR IDEAS! This is where we are looking for your help. This years theme is What's Cookin'? Each store is selecting a recipe to create a 6 X 6 layout page/recipe card. (For those who don’t cook, don’t use the recipe and use a photo mat instead or flip over the recipe as your mat) ) Spend $10 or more in the store (before tax, after discount) and you’ll get it for free. Some stores may sell add-on pages with prices set at their discretion. Each store will also have their very own collectible pin to match their recipe/theme. Spend $20 or more in the store (pre-tax, post-discount) and you’ll receive it for free. Both promos are available for purchase if you don’t meet the minimum to receive it for free. Official pages are $2.50 and pins are $4.99 – thanks! 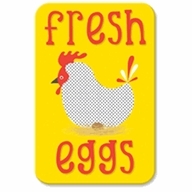 We are looking for recipes using EGGS....do you have a favorite recipe you would like to share with us? We could use that on our 6 X 6 layout. Do you have a favorite quiche, breakfast, lunch or dinner recipe using eggs? Bring it by or email it to us at info2@stampingdetails.com. The Shop Hop is your chance to shop at the best Scrapbooking and Stamping stores in Southern California, receive a great discount, enjoy specialty themed Make N’ Takes, collect pins for your new cute crafty and alterable apron and have a ton of fun. As you hop to the various stores, have your “Passport” stamped. If you visit enough stores, you’ll be entered into a drawing for great prizes. With 30+ stores participating and more to be added, you’ll have fun for the whole event, hopping around Southern California, shopping for some of your favorite things: paper crafting supplies! Time to buy those passports and get excited for our So Cal Shop Hop!